“Let’s have a strategic planning retreat!” There is intrinsically nothing wrong with a retreat . . . even a retreat that is primarily focused on strategic planning. The problem is when a strategic planning retreat is seen as the primary venue for a team to think and plan strategically. Retreats are perfect to rally the troops, cultivate report and trust, and escape temporarily from the urgencies of day-to-day operations. However, if strategic planning and management is regulated to a couple days away each year . . . then there is an intrinsic disconnect between operations and strategic management. A retreat can serve as an excellent step in the strategic planning and management process…perhaps to spend quality time assessing the external and internal factors impacting the business. A retreat can also serve as the perfect venue to review and re-assess the status of our high-level strategic direction. But when the retreat is viewed as the solution to strategic management deficiencies, then little is accomplished but painting a thin veneer to convince our stakeholders that strategic management is a high priority. “Let’s start with our mission and vision!” Too often there is a rush to begin a strategic planning process by either refreshing or re-stating the organization’s high-level strategic direction (primarily mission and vision). Certainly a review, and in some cases a total overhaul, of mission and vision may be necessary . . . but to begin at that point is very dangerous. Before even glancing at the high-level strategic direction (essentially determining “where we are going”) an organization needs to pause and ensure that the key leaders and board have a shared perspective and understanding of “where we are.” We live in a rapidly changing world. Every industry is facing a multitude of external, macro-level, forces that need to be understood and appreciated by the leadership team. Furthermore, there are changes within each industry that need to be parsed, such as new competitors, new customer expectations, changing government regulations, to name a few. Prior to a team articulating “where we are going” . . . there must be a shared perspective and understanding of “where we are” . . . otherwise, the strategic direction and plan is doomed to fail. “Let’s assume everyone understands and agrees!” Another factor which will derail even the most thorough and strategically-focused plans, is a failure to align all stakeholders with the plan. Alignment of staff, board, and leadership around a strategic direction and operating plan is not a natural process. Alignment in many cases is actually unnatural, as our natural tendency is to focus on our own areas within an organization. Seeking alignment is paramount to the successful execution of any strategic planning enterprise. We move toward alignment when there is an intentional effort invested to help all diverse perspectives to resonate with the primary needs driving the change effort. If all parties do not understand, appreciate and resonate with the need . . . then changes initiated by the strategic plan will receive tremendous resistance and push back. However, once all parties are aligned with a shared understanding of the situation . . . then the change process is seen as a solution rather than another problem. “Let’s post our strategic plan.” The posting of a strategic plan on the organization’s wall and website is fine. The problem comes in the codifying of the planning effort to such an extent that all parties see the strategic plan as a static document (or poster) . . . rather than a living, dynamic, on-going process. Too often organizations signify the “completion” of the process with such posting . . . and unintentionally (perhaps) communicate that we have (finally) finished this strategic planning endeavor and we can get on with business as usual. “Let’s leave execution to the front-line staff.” By its very nature, execution of the strategic initiatives and projects are often in the hands of middle management and front-line staff. 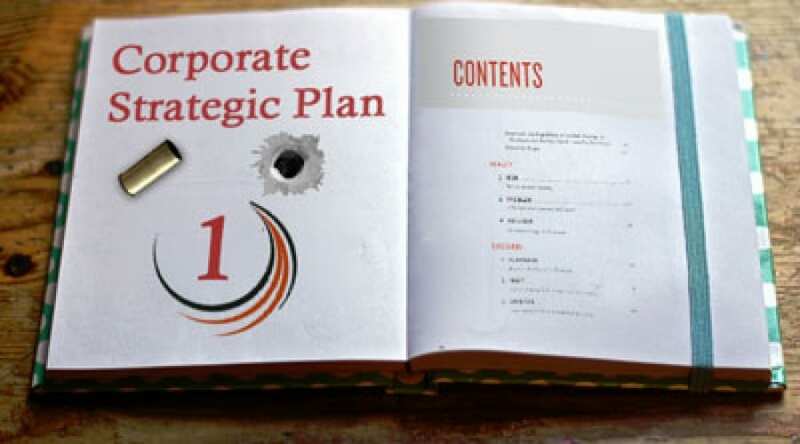 It is tempting for those serving in higher tiers of the organization to “hand off” the execution of the strategic operating plan to those who are more closely involved with the day-to-day operations. However, for an organization to flourish in its strategic management, there must be an on-going commitment by the c-level suite to pay close attention to the execution of the plan. As we all learned playing the “telephone game” as children, communication of the plan and its primary objectives and initiatives can quickly deteriorate. Strong leadership will remain engaged and in-tuned with the execution process to ensure it is consistent with the high-level strategic direction of the organization.